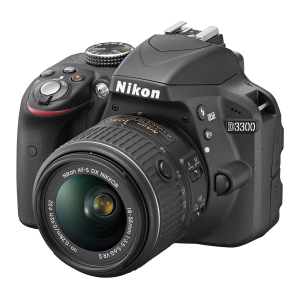 The Nikon D3300 is Nikon’s entry level DSLR camera designed for photographers looking for an easy to use and inexpensive digital SLR camera. The Nikon D3300 is sold as a kit with the 18-55mm lens and also available in a 2-lens kit with the 55-200mm lens as well. Speaking of the lens(es) – the 18-55 and 55-200 kit lenses feature a new “collapsible” design. This allows the lens to be smaller when not in use, but when it is time to use the camera the photographer needs to extend the lens by pressing the button and turning the lens to the 18mm position. If you turn on the camera but do not extend the lens the camera will display a message indicating you need to extend the lens to the shooting position. I personally do not care for this feature and if I owned a D3300 I would opt to not use this feature. Auto ISO has to be turned on and off in the menu. If Auto ISO is on it will override the ISO setting set by the photographer. The 18-55 kit lens has a button that needs to be depressed to extend the lens to the shooting position. To be fair, for photographers who are bothered by this they don’t have to collapse the lens fully, but can leave it extended. The Nikon D3300 is a great entry level DSLR camera not only for beginners, but for advanced users who want a small and light weight “point and shoot” type of camera, but still want to have the ability to control the camera like their more advanced camera. 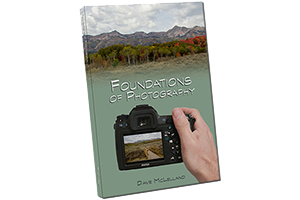 Feature wise the Nikon D3300 offers a lot, but for those advanced shooters or photographers who want to learn to take control of the camera the D3300 can be a little frustrating due to the lack of dedicated controls on the camera. In my classes many of my students who have the D3300 seem disappointed in this and start to look up market, but unfortunately the next level suffers from the same lack of external controls, leaving them looking at the much larger and more expensive D7100/D7200 cameras instead. If you are looking for the DSLR quality, but don’t plan or desire to use the camera manually then the D3300 is a fantastic camera. If you already have lenses for Nikon the D3300 is an excellent choice, but for those who want to learn to get out of the auto and scene modes you might want to take a close look at the Canon Rebel T5 instead. based on 1658 user reviews online.